Two good things happened to me yesterday, as opposed to the shed-load of bad things that I am getting used to these days. ” I have just finished your second book An Exciting future and I would say that it is a very good book, like the first. The first time (in 2008) that I came in Thailand, it was for the wedding of my best friend. And I would say that I can see in your book what I have seen during my friend’s wedding (in Ayutthaya). 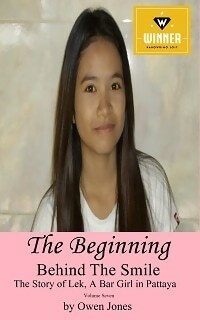 The story of Goong, inside this story of Craig and Lek is a shock. It pleases me doubly, because David is French, lives in France and finds my books easy enough to read, not that I am belittling his linguistic abilities and Goong made such an impression on him. Someone else said that tome not so long ago too. Happy days…. Small things make happy days, eh? Still, that is what life is made of, I suppose, we are not all Supermen or Superwomen, well, not every day anyway. For most of us, just receiving a small compliment or a kindness is all we need to make the day go better. The world would be a much better place if more of us could remember that simple fact more often in our busy, selfish lives. And I am including myself in this. I don’t say how happy people make me half as often as I should, yet I am quick to moan about what I don’t like. Just a thought aloud, if it did not take much to bring a smile to my face after everything recently, what could we all do to bring ‘happy days’ to someone we know?.